Private security is commonplace throughout South Africa. Whether you leave work, do your grocery shopping or enter the gate of your residential complex, you come into contact with security officers. While a security presence does reduce the risk of harm to persons and property, knowing that your security officer is trained to render security services provides little comfort when that officer falls asleep on duty. With over 8 000 PSIRA-registered security service providers in Gauteng alone, industry players are constantly on the lookout for ways to offer a cutting-edge, superior service at a competitive rate. To this end, many companies issue their security officers with Active Track devices. 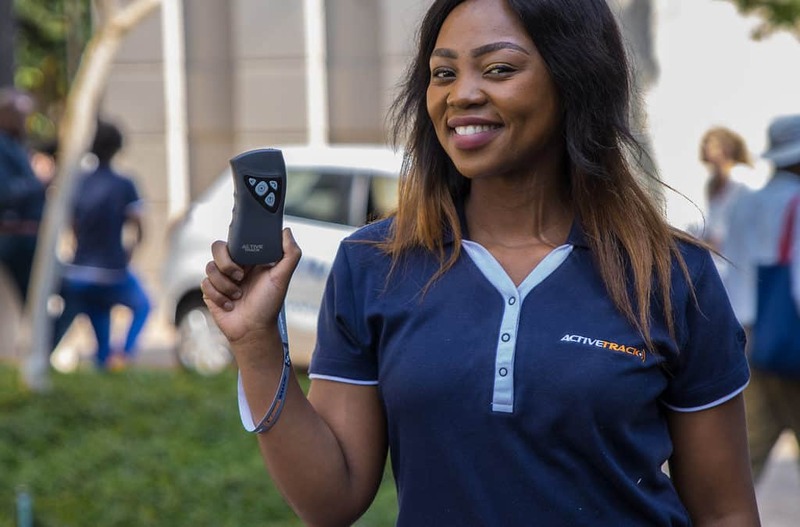 The Active Track is a hand-held guard monitoring device which allows the user to track the movements and activities of the security officer remotely, and in real-time. The device has a built-in RFID reader which enables a security officer to scan in at various check-points along his/or her patrol route. The GPS and GSM capabilities allow the user to track the movements of the security officer in real-time, and to receive automated notifications in the event of a missed or late patrol. The device has various panic buttons which can be activated in the event of an emergency or threat. The data captured by the Active Track device is stored in the cloud and accessible via an online portal. The portal can be visited at any time, and the stored information is available for download in various formats such as daily or monthly reports, or real-time patrols records. The Active Track is supported by a 24-hour call centre. The support centre agents are trained on the Active Track, and how to render technical support and emergency assistance in distress situations. The support centre monitors the events of the Active Track devices. It responds to panic or emergency notifications as well as to missed patrols or check-in points, which results in an overall improved security service. One of the most frequent reasons for missed patrols or check-in points is sleeping on duty. The missed patrol or check-in point is documented, the security officer is contacted by the call centre, the user is notified of the missed patrol via SMS and/or email and the event is recorded on the online portal. In this way, the security officer’s breach of duty is recorded, he/or she is woken up immediately and can resume duties right away. The risk of damage or loss to property or persons is once again minimized, and the user can take the necessary disciplinary action against the officer. It goes without saying that a guard monitoring device is needed to ensure that security services are being rendered properly, and your safety is not compromised.